Interviewee #3: “Main objective – Protect business/brand/premises – make the lease clear and specific to your business needs, but leave room for unforeseen changes and options for the future (change of use, assignment, improvements, modification of premises). 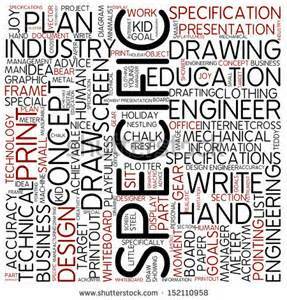 Specifics are important on business terms, but just put in enough detail on the rest to avoid problems down the road. Interviewee #4: “Main Objective – Protect client relationship for future deals and commission rights – need clear short forms that are advantageous to client and don’t make the document too complicated or lengthy to scare away prospects. Keep negotiations quick and to the point. Seal the deal and move on. Interviewee #5: “Main Objective – Clear terms and stay true to the “KISS principle” – make the lease clear and specific on each parties’ duties and lease procedures. Make sure there is step by step mechanism to deal with issues that arise during the term. Don’t be too vague on terms like using “reasonable efforts” or “local business standards.” Don’t leave open-ended terms that require an inquiry into what the parties and their brokers may have intended before the lease was signed or require third-party investigation to determine conditions. I will let you guess who are the representatives are. Hint = some are paid salary, some by the hour and some per deal. So where to go from here? Everyone wants to insure the transaction is consummated and everyone wants to make sure no one walks away with bruised feelings. 1. Who calls the shots on the LOI and the initial discussions? 2. Are concerns of the property managers part of the conversation or just dealt with internally after the lease is signed? 3. If you are a landlord and/or tenant, how do you instruct the others involved in the negotiations? 4. What are the marching orders given to the lawyers and brokers on business terms by the landlord and the tenant? 5. As a broker, when do you step in to advise your client? 6. As an attorney, should you advise on business terms? Here’s one opinion, but I invite others to jump in. The attorney should be fully advised and aware of all business terms and particularities of the parties and the property involved. The brokers should bring their extensive knowledge of the market, local business practice, trends and the property. Landlord should be open to discussing terms that may not be in their form lease or ordinary practice. Tenant should be aware of their limitations, but also protective of their core business. Property managers should have input especially in unique uses. ← You Mean I Cannot Evict A Tenant If It Is Unfair? Every lease is made up of assets and liabilities. Every right and every option is an asset. And every obligation and every responsibility is a liability. And where a tenant enjoys an asset, the landlord is burdened by the opposite liability. And where the tenant is burdened by a liability, the landlord enjoys a corresponding asset. In constructing a lease, the landlord’s primary goal is to protect his property. An aggressive landlord will do so by creating for himself within the document maximum power, leverage, flexibility, profitability, and deniability. And none for the tenant. And he secures those advantages by being very specific about his rights and the tenants obligations while, at the same time, being very vague about the tenant’s rights and the landlord’s obligations. Lease negotiation is about creating a workable balance of assets and liabilities. “Workable” meaning sufficiently memorializing the understanding to the end that the intentions of the parties are reflected to the greatest degree practicable. Note that I did not say a “fair” balance or a “reasonable” balance. “Fair” and “reasonable” are highly subjective. And what is “fair” to the predator is not often what is “fair” to the prey.